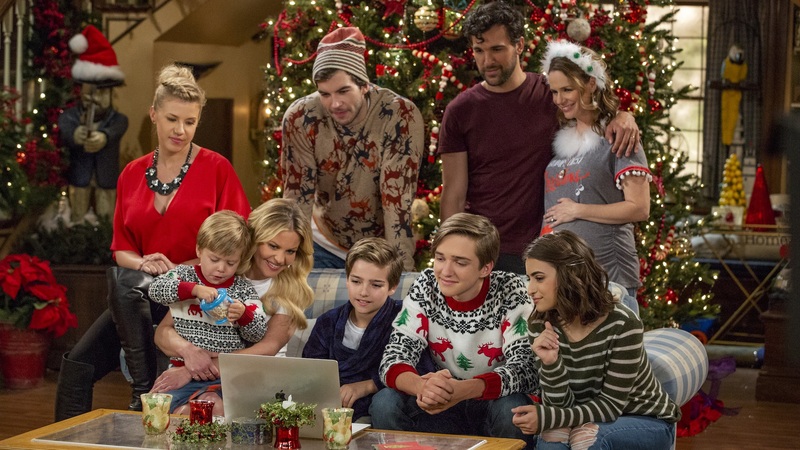 Fuller House fans can expect a really good holiday present this year in the form of a brand-new season to stream on Netflix come December. We officially have a release date for season four of the Full House spinoff series as well as details from series star Candace Cameron Bure about what to expect from the Tanner family and their crew. PopSugar reports Fuller House will release new episodes for streaming on Dec. 14. The outlet notes that questions about season three plotlines — like Kimmy acting as a surrogate for her brother and Stephanie — will be answered in the new season under new showrunners Steve Baldikoski and Bryan Behar, who have co-executive produced the series since it premiered in 2016. As reported by TVLine in March, former showrunner Jeff Franklin was fired from the show and his overall deal with Warner Bros. Studios after several writers and staffers complained about his verbal abuse and sexual comments about his own personal life. This left some questions as to how continuing storylines would be handled in season four, but Baldikoski and Behar seem to have it under control. In an interview with E! News published in July, Bure said a central storyline will be Kimmy's pregnancy. She also revealed that despite Danny, Uncle Joey, Uncle Jesse and Aunt Becky moving back to San Francisco at the end of season three, they won't be series regulars come season four: "They're not in the house, and they're still in about three episodes each this season." Bure will make her directorial debut this season, though she did not reveal to E! which episodes she directed. However, she did give an important bit of information about her character, D.J. : "DJ and Steve are together. There's no back and forth in season four, so she's with Steve and made that decision. I like watching and I hope the fans enjoy actually watching that relationship develop more." It sounds like season four will be chock-full of the kinds of content Fuller House fans love, and we're ready to see how it all unfolds.